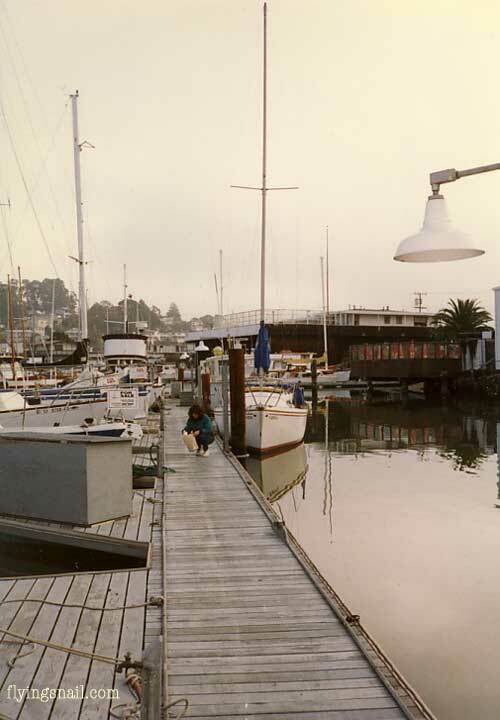 There are a series of pages titled, "Remnant of Paradise" on this Site which will eventually explain how we ended up OUT of our beautiful San Francisco house and on a sailboat. The short version is a classic, "You Can't Judge A Book By It's Cover" reality, where we ended up with a dishonest partner who had no regard for how his personal actions affected other people, causing us to leave our home abruptly one weekend. We needed a place to live immediately because we had returned to school to finish some degree work and were not about to give that up. It is also worthwhile to know we blew most of our money on the house and had enough remaining to buy a live-aboard boat or pay six months rent. We opted for a boat and ended up spending one of the best years in our lives on a Catalina 28 sailboat we called "Flying Snail." We eventually sold it and picked up the ranch.